DEPUTY Minister of Health Chitalu Chilufya says 30 out of the 650 health posts under construction countrywide have been completed. Dr Chilufya said in an interview on Monday that out of the 650 health posts being constructed countrywide, 400 are at slab level while super structures have been erected at 200 sites. Dr Chilufya said Government will complete the project by April this year and deliver the health posts to the people of Zambia. “We are confident that we shall deliver the 650 health posts to the citizens as promised by Government,” Dr Chilufya said. He also said at least one health post has been commissioned in five provinces, which include Copperbelt, Eastern, Southern, Western and Central provinces. Dr Chilufya said Government expects more health posts to be completed in Northern and Luapula provinces within 14 days. He also said the construction of the health posts in each district will enable Government to provide primary health care to the people as close to their homes as possible. 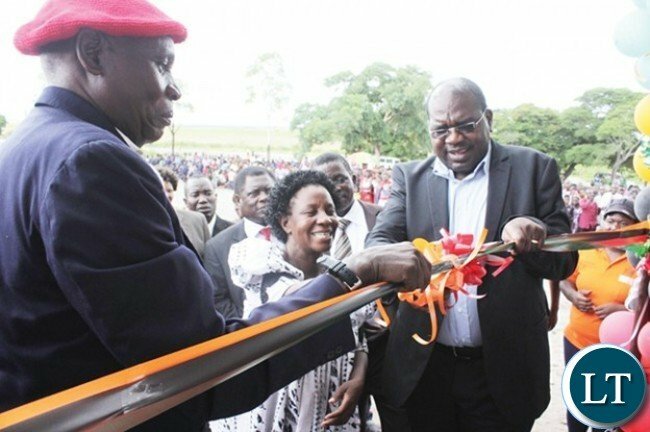 “Most people in rural areas find it hard to access proper medical care because health facilities are far from their homes, but with the construction of these health posts in every district, distance will not be a problem anymore,” Dr Chilufya said. It’s too late. Come August 2016, you’re out. Stop trying to make people think that you’ve achieved anything during the last four years of your misrule. We want back our jobs, a better economy, a better exchange rate, a violence-free atmosphere and above all, food security for all! The health services can not be applied alone without the patient’s faith. Millions of people have had successful and amazing treatments in the the same hospitals you think do not deliver. If you go to UTH or any hospital/ clinic as a tourist and start inspecting the workers professionalism….believe me not ….you shall find it difficult to appreciate their role in health matters. These institutions are under-staffed and congested. In-fact many of the sick/ill these days believe in Healing than treatment due to many factors e.g. the fake medicines that are produced worldwide,the fake doctors and nurses world over and many factors that incude your mis perception of the institutions (no faith).